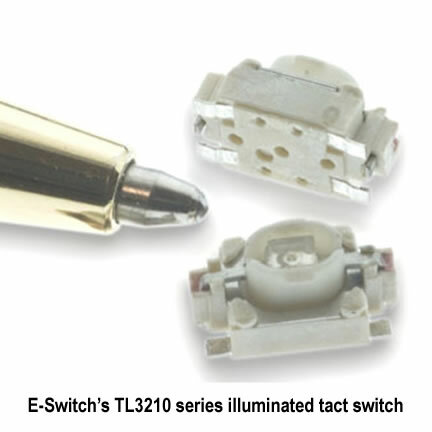 E-Switch announces the brand new TL32 1 0 series illuminated tact switch. This tact switch is a surface mount (SMT) switch that offers LED illumination in blue, red, green and yellow, white and a bi-color red/green option. The ultra-miniature size of 5.6mm x 3.5mm is the tiniest illuminated tact switch we offer. This tact switch comes in tape & reel packaging at 2,500 pieces per reel.